Berry Services has been supporting you in your projects for 20 years ! Our specialties are bringing into compliance, finishing and packaging, logistics and storage for the fashion industry. Specialised in bringing goods into compliance, finishing, logistics, etc. for the fashion industry. Berry Services comprises one hundred technicians who work in an area of 10,000 m2. 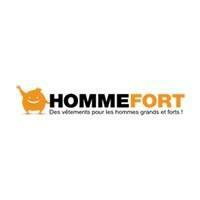 2 hrs 30 from Paris by car and 1 hr 50 by train. Berry Services takes care of the finishing & packaging repairs logistic & storage of your products. Undeniable advantages over all other logistics providers on the market ! BERRY SERVICES staff, with extensive experience in the clothing industry, will always process your orders with an expert eye and skills. In addition to basic logistics services, BERRY SERVICES has all the know-how needed to enhance your ready-to-wear items or bring them into compliance. At BERRY SERVICES, everything is thought out and designed specifically for the ready-to-wear sector. Fitted out premises dedicated exclusively to clothing, shoes and accessories, modern clothes-making equipment and qualified staff. Some examples of frequently asked questions, to see more, clic here. 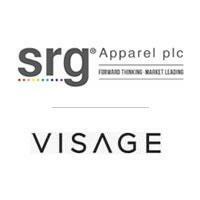 I’m looking for a logistics company that can add value to my clothing. Berry Services provides all logistics services ( reception, storage, order picking, etc. ), and in addition ( and this is exactly what differentiates Berry Services from all other logistics companies ), has all the know-how and skills required to recondition or add value to ready-to-wear items ( ironing, alterations, etc. ). I have taken delivery of a container with mouldy clothes. Berry Services will take care of collecting the container (chartering a carrier). Upon taking delivery of the container, Berry Services will carry out an inventory, find the best solution to recondition the items ( ventilation, washing, etc. ) and repackage the items in new packaging. The clothes are saved and ready for sale. My foreign supplier has sewn on non-compliant buttons. Berry Services will charter a carrier to collect your goods. Berry Services will change the buttons in its workshops and then redeliver your goods. Thus, in just a few days, your goods are "saved", without the hassle of returning them to the original manufacturer. According to laboratory tests, the material composition of my items does not match what is written on the composition label. Berry Services will charter a carrier to collect your goods. In its workshops, Berry Services will create and print new composition labels, replace the composition labels and redeliver your merchandise. Thus, in just a few days, your goods are compliant and ready to be sold, without the hassle of returning them to the original manufacturer. Upon taking delivery of my order, my customer’s quality department has identified defective items. Berry Services will contact your customer and organise the return of your goods. In its workshops, Berry Services will inspect all of the items (in accordance with the specifications and your customer’s needs), carry out any repairs or bring the defective items into compliance and return the order to your customer, without any defective items. As such, you honour your order and your customer is satisfied. 8 Awards in 20 years ! BERRY SERVICES has received a number of awards for the innovation of its services and its economic development. 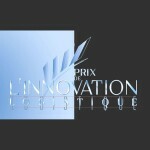 2007 Logistics Innovation Prize, awarded at the International Transport and Logistics Exhibition (SITL) in Paris. Berry Services was given the award in recognition of its commercial offer at the service of the ready-to-wear clothing industry. In particular, it was the company's ability to offer a comprehensive, fully integrated service entirely dedicated to a specific sector that won the jury over. In the Customer Service category, this prize awarded by the FATEX textile suppliers exhibition, recognises the originality of the services offered by Berry Services. 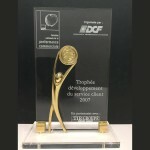 2007 DCF Prize, awarded by the Business Leaders of France of the Indre département. This prize recognises the development of the activity of service providers to the ready-to-wear sector. 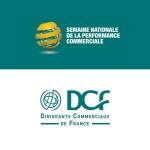 2nd prize at SNPC (National Trade Performance Week). Berry Services was named second fastest growing French company owing to customer service development, out of the top 200 French companies. 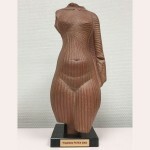 2000 Ruban Vert Prize awarded by the bank Crédit Agricole. 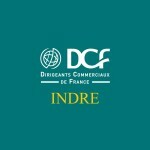 In the Local Development category, this prize recognises the creation and development of companies in rural areas. 2006 Gazelle Prize awarded by the Ministry of Small and Medium-Sized Enterprises. 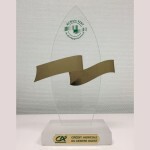 This award rewards the companies that experienced the strongest growth in their payroll in 2004 and 2005. 2005 Gazelle Prize awarded by the Ministry of Small and Medium-Sized Enterprises. 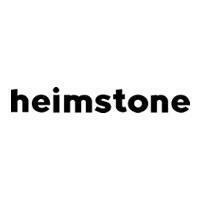 This award recognises the fastest growing companies in 2003 and 2004. 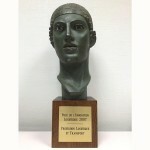 2006 Forces PME Prize awarded by the Confédération Générale des Petites et Moyennes Entreprises. This prize recognises the best performing companies during the period 2000 to 2006. 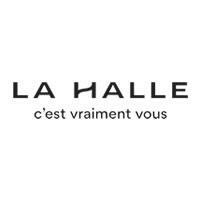 Berry Services has been a partner of La Halle for many years now. We particularly appreciate the responsiveness and expertise of the Berry Services teams who never fail to find solutions to issues in terms of bringing products into compliance, reconditioning and labelling, etc. In short, this is an invaluable collaboration in the world of retail and textiles where speed of execution and fluidity are essential for success. We entrusted our logistics to Berry Services in 2009 and they have supported us in our growth and in the development of our methods and procedures. I would especially praise the quality of the staff, their availability and stability. This quality is demonstrated on a daily basis by the zero error rate in order picking – this is quite exceptional and worth highlighting. This rate is a fundamental concept for an online sales company, as it is a precondition for limiting expenditure and reinforces the concept of service quality in our customers’ eyes. To sum up, an exemplary partnership for the last nine years and for many more years to come. 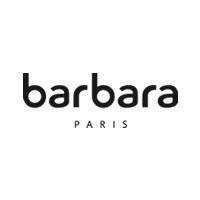 In almost 10 years of collaboration with Berry Services, Barbara has not once had reason to regret a choice that has proven to be an excellent one. Berry Services, in view of its reliability, punctuality and responsiveness, has made the logistics element of our business utterly flawless. Moreover, the fact that Berry Services has been providing new related services such as embroidery on demand and alterations has enabled us to really give our products added value. Berry Services is a trustworthy subcontractor, whose responsiveness and professionalism are irreproachable. All requests for bringing into compliance are studied quickly and seriously, even if they are not finalized in the end. The quality of their services in addition to the wide choice of interventions offered are a real asset which makes Berry Services a serious, specialized and technical provider. Berry Services has been and is an ideal partner for us and for the development of our brand thanks to its skilled employees who are attentive and very responsive. They facilitate our logistics while helping us to have an accurate overview of our stock. 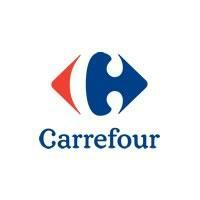 I’m Franck Attal, I’m a company director and I’ve been working with large European retailers for the last 20 years. For most orders we need to handle our items (put them on hangers, labelling, quality control, alterations, ironing, etc. ), and we do this with Berry Services !! Thank you for being so responsive !! The company BERRY SERVICES is put forward in the press.